Think you’ve got what it takes to secure investment from one of Silicon Valley’s top VC firms? We sponsored a fireside chat with Scott, thrown in conjunction with Access Silicon Valley, to find out his top tips for standing out in your next pitch. Scott Kupor steals the spotlight with his investment wisdom and sweet cowboy boots. 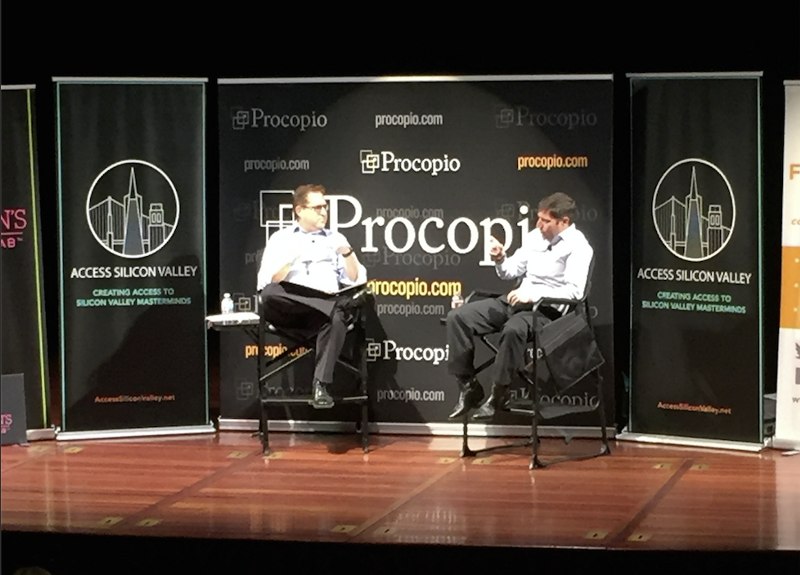 As Managing Partner of Andreessen Horowitz, Scott Kupor knows startups. Since joining the firm in 2009 after connecting with Mark Andreessen ten years prior, Scott has seen bubbles swell and burst, sweethearts of Silicon Valley turn sour, and has faced more pitches than Yogi Berra. With five $1.5 billion funds raised since their establishment and notable investments in companies such as Twitter, Facebook, and Airbnb, Andreessen has solidified itself as one of the premier firms in the Valley (and beyond). From the conversation with Scott, hosted at the Cubberley Theater in Palo Alto (just a stone’s throw from Sand Hill Rd. — the famed “Wall Street of the West”) we assembled a list of his five strongest pieces of his advice for aspiring founders. 1. Don’t cold email VC firms to set up a meeting. Consider your first challenge when courting a particular firm to be finding someone there (or the founder of a portfolio company) who is willing to make an intro. While there’s still a chance, albeit a small one, that you’ll be granted a meeting, the numbers overwhelmingly support companies who arrive at Andreessen by way of a direct intro going on to secure their investment. Oh, and as an insider tip — even before you arrive, the members of the firm you’re meeting with will have already been discussing (often through company-wide emails) both you and your company. Everyone you’ll be meeting with that day will have preconceived opinions about what you’re pitching them, so make it a point to surprise them with some new information to keep them on the hook. Does the idea you’re pitching stem from a personal connection to the problem you’re aiming to solve? Scott believes this to be one of the most significantly undervalued characteristics of any pitch. The best entrepreneurs to invest in, the ones who would never even consider quitting when the going gets tough, are the ones who truly care about the specific space they’re in. Selling them on the size of your opportunity is easy. What’s not is converting them to believe in your cause. There is no substitution for the contagious drive and energy of a founder with some actual skin in the game. Does this seem obvious? Absolutely. Does that mean that the bulk of startups Andreessen meets with possess this? No chance — but these are the ones they’re actively hoping will step through their doors. 3. Don’t be too quick to agree with the VC. As you’re running through your pitch, you’ll often be stopped by the VC making suggestions or sharing ideas they have for your product. If you respond with something along the lines of “Wow, we hadn’t thought of that yet; that’s something we’ll need to try,” you’ve just proven that you lack the strength in your convictions as a leader — which is the most important quality they look for before investing. 4. Make sure this investment partner is the right one for you. The way Scott sees it, investor relationships are like a marriage, and most marriages these days tend to end in divorce. Essentially, a VC’s primary job these days is to create and maintain strong working relationships. Ask yourself, “Can I potentially endure spending many hours in the same room with these people?” If the answer is no, then the best move you can make is to thank them for their time and find another firm that you feel more comfortable with. Similarly, Scott believes if the investor you’re sitting across from doesn’t seem as excited about the deal as you are, then it’s not a deal you’d ever want to accept. Investors are like wolves. They can smell your fear from a mile away. Is there anything wrong with being nervous for your pitch? Of course not, but those nerves have no place inside the conference room. To Scott, if the intimidation surrounding an initial pitch meeting throws you off, it’s not likely that you’ll be able to face the challenges associated with scaling a high-growth company. If Andreessen is potentially along for the ride, they’re going to need to see a calm, confident demeanor right off the bat. This is article was composed by Jake Kuczeruk, VP of Business Development at West Agile Labs. For more background on our session with Scott Kupor or information on how you can get involved with the next one, Jake can be reached at jake@westagilelabs.com.